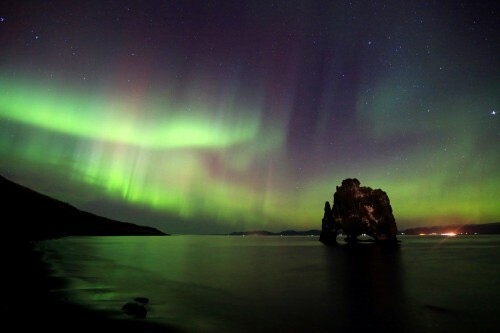 Cheap flights to Iceland: Reykjavik from Belfast for €76! We had cheap flights to Iceland from Berlin earlier this week and now Easyjet offers really cheap flights also from UK! 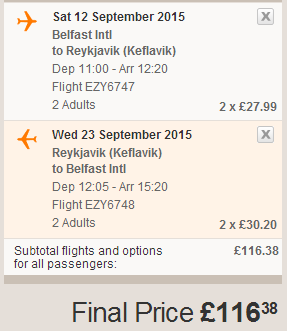 Return tickets from Belfast in Northern Ireland to Reykjavik will cost you only €76 / 58 GBP! This price includes cabin luggage up to 56 cm with no weight limit. Check-in luggage can be purchased for extra fee. Easyjet has cheap flights to Belfast from tens of airports in Europe perfect for connecting flight, including Amsterdam, Barcelona, Faro, Geneva, Krakow, London, Paris, Nice or Split. Travel dates are in September which is still great month to visit Iceland without freezing cold. Price is valid if you travel in group of 2, if there are more people booking together then you get even slightly better price. Book your ticket via Easyjet. « WOW! Super cheap flights to Maldives from Prague for only €402!